At Miami Cleaning Service, we are active participants in our community. We are extremely proud of our community involvement and the relationships that we continue to make each month. We contribute to our community from time to time with monetary donations and also donate our time and services to non-profit organizations. Member of Global Cleaning Association. We are proud to be family owned and operated. We offer refined professional cleaning services in the Miami-Dade area. We would never sacrifice our integrity, honesty and quality of service. Customer satisfaction is the focus and drive of our business. Through strong customer relations and personal knowledge of our client's evolving needs we can and will surpass your expectations. We believe that excellence is the mark of a professional and excellence is our achievement. We are available to our customers Monday thru Saturday. Our cleaning operation hours are 9am-6pm. Save up to $85 in your Maid Cleaning service! We believe in giving back to the community we serve. Currently we are active donating funds and services to a series of non-profit organizations. Below are some of the non-profits organizations that we are currently sponsoring. March 2009 - We have been awarded a Silver Certificate award from Cleaning For A Reason. We are proud of this award and plan to continue supporting our community via Cleaning For A Reason. You can view the certificate here. 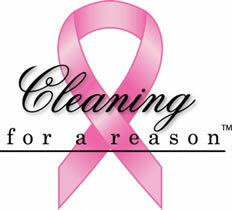 We are proud to be the first cleaning service in Miami, FL to support Cleaning for a reason. Fighting cancer is difficult enough, but living with it is even tougher - and that's where the Cleaning for A Reason Foundation steps in. This nonprofit offers free professional housecleaning services to improve the lives of women undergoing treatment for cancer. 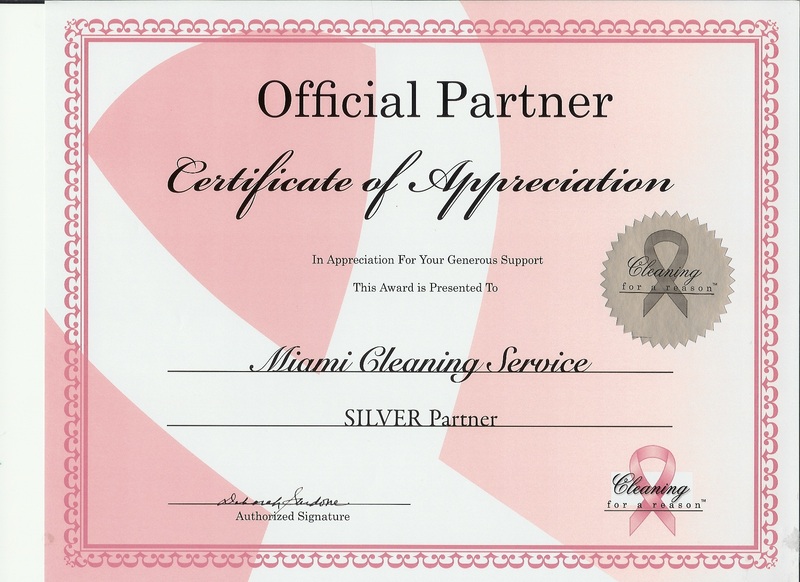 Miami Cleaning Service is currently an active supporter of Cleaning for a reason. If you would like to learn more about how to acquire the assistance of cleaning for a reason click on the Cleaning for a reason logo above. We support this great cause since March 2010. Join us! Click on logo below to join our team and make a donation. Help us reach our goal in our American Diabetes E-Campaign. You can sponsor us with a tax deductible donation. Donate Now! For more details about our community involvement, please visit our community involvement page. 10 Reasons Why You Should Choose Us. 4. Custom cleaning packages based on your needs. 5. Focused on Residential Cleaning. 9. One provider for all your cleaning needs.